This is a realistic rendering of the cosmos by Stellarium. Have you ever stayed up late at night and happened to gaze upon the stars? I remember one such night where I stayed up late till 3 am. I decided to have a break from staring into the computer monitor so I stepped outside the house just to see what the surroundings looked like at a time like this. I tilted my head up to see a very wondrous sight. The stars were very bright and clear. It was probably the calm of the night plus the cloudless skies that made the stars appear more stunning than when viewing them at an earlier hour. I was utterly fascinated. I needed to know more about these stars, planets and constellations. How does one view the stars on a cloudy night or even at daytime? As with most of life’s problems, the internet has the answers. Stellarium may just be the best planetarium software available. The fact that it is both free and open source means you can’t lose. The program is lightweight and can run very smooth even on low-end computers. Stellarium has a neat and simplistic graphical user interface. To start using stellarium, you only need to set your location and time. This will synchronize the program to the actual movement of the cosmos. This means you will be able to see the stars and other visible objects in real time. Learn the names of various stars, planets, galaxies, comets, asteroids, satellites, constellations and other heavenly bodies. Learn these astronomical object’s distance, velocity, size, apparent brightness, local names, various catalog designations and a whole lot more information. View constellations with or without labels, connecting lines and conceptual art. 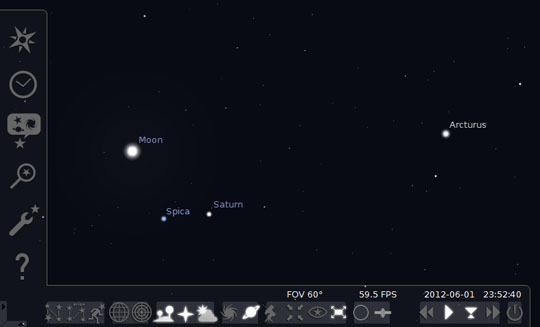 Stellarium is available for windows, mac os x, linux and ubuntu. Get it here. 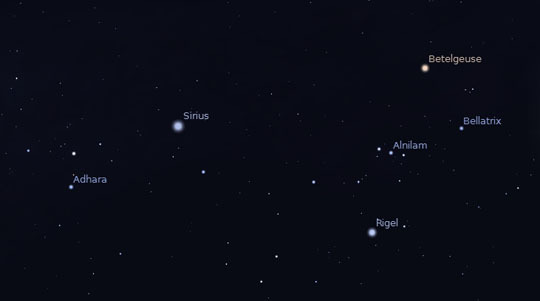 Sirius (the brightest star at night) as seen on Stellarium along with constellation Orion. Sirius, also known as the “dog star”, is the brightest star in the night sky (not the brightest in the universe, who knows what star that is). Orion is the constellation known as the warrior. The three stars that line up almost perfectly in its middle is called Orion’s belt. 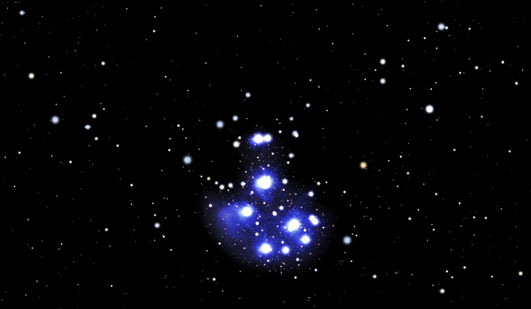 The Pleiades as seen on Stellarium, the free planetarium software. 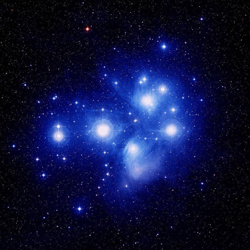 Pleiades is the name given to the formation of stars near the constellation of Taurus. Some say it looks like a cross. Looks like a key to me. I’ve tried Stellarium as well, and found it to be a remarkable piece of software. If you like looking at the night sky, you might also want to give Celestia a try. It’s available on Sourceforge. Thanks.. going to try Celestia. It’s amazing what programmers give for free.